She talks in 2 meanings i.e. both in Spiritual and earthly terms. By giving this answer she too gets in the wavelength of the LORD. Spiritual water: LORD, give me this living water so I don't have to thirst again. I am searching for truth. Let this be my stop. I don't have to walk in Shame and guilt. I am walking in self loathe and blame. Earthly water: Though she wants to live her life right, she is afraid to take the step outside with fear of being mocked and ridiculed. Given a chance by her fellow woman, she would have come to draw the water in the morning and their acceptance would have helped her with the new life. But it didn't happen. Her inner urge is to escape the world and their slander is expressed subtly and painfully in the above passage. *The world sees her life and not her heart. She is in repentance. Nobody but the LORD alone can see it. 16 He said to her, "Go, call your husband and come here." 17 The woman answered and said, "I have no husband." Jesus said to her, "You have correctly said, 'I have no husband'; 18 for you have had five husbands, and the one whom you now have is not your husband; this you have said truly." Her Life revealed: The lord says he knows of her sinful and immoral life. He doesn't condemn it. This is to let her know that her sinful life past doesn't matter. He wants to let her know that his grace and mercy is sufficient is enough to receive the living water. He wants her to walk free. Free from past guilt. If she asks, he will give the living water of eternal life. 3. 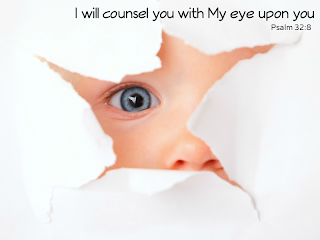 His hidden answer to her concern is in previous verse (v.14) – Your past does not dictate your freedom and salvation. I set you free. You are free. You don't have to hide yourself. Reason why LORD chose her – She is waiting for him, the Messiah. 19 The woman said to Him, "Sir, I perceive that You are a prophet. 20 Our fathers worshiped in this mountain, and you people say that in Jerusalem is the place where men ought to worship." A believer: Look at her response and her questions. · She has practiced her religion and had not found peace. She believes GOD of Jews the Jehovah would be the answer. Hence the reverence and quick identification of Jesus as Prophet. · Being a gentile she do not know if she can pray to Jehovah. She is in look out for more information. · Another Important Character of the Lady is that she doesn't ask for Earthly blessings which I am sure she is in big need of. Yet, she has surpassed that because she has recognized that her spiritual needs are bigger than her earthly needs. **Note: In my case, I can't help but compare myself to this Lady in this situation. Being born with a different religious background the search for real GOD for me stopped when I had the personal fellowship with the LORD thru Bible. 21 Jesus said to her, "Woman, believe Me, an hour is coming when neither in this mountain nor in Jerusalem will you worship the Father. 22 You worship what you do not know; we worship what we know, for salvation is from the Jews. 23 But an hour is coming, and now is, when the true worshipers will worship the Father in spirit and truth; for such people the Father seeks to be His worshipers. 24 God is spirit, and those who worship Him must worship in spirit and truth." · He calls her to believe her, - A disciple. 1. You worship what you do not know – You are worshipping that is not true. You cannot be sure of its blessings because you do not know what you are dealing with. 2. We worship what we know – We worship Jehovah who loves to bless his Children. 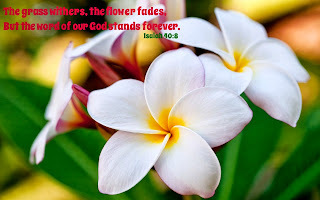 (Psalm 136) While we worship Jehovah we know what is in store for us. What we can expect. 3. For salvation is from the Jews – Salvation comes from Lineage of King David who is a Jew. He does not say salvation is FOR the Jews. It is FROM the Jews FOR everyone who believes. 4. He moves to the worshipping the LORD – How the true worship should be? – In Spirit and Truth. 5. He also says LORD seeks true worshippers. Their caste and creed doesn't matter. Gal. 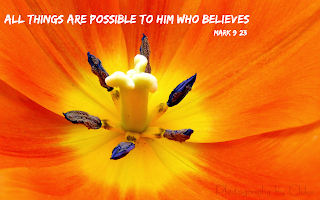 3:7 "Therefore know that only those who are of faith are sons of Abraham"
6. Why in Spirit – Because GOD is the word and spirit. Word is the truth. 25 The woman *said to Him, "I know that Messiah is coming (He who is called Christ); when that One comes, He will declare all things to us." · She is well aware of prophesy in Isaiah and believes in it. · She is WAITING for the messiah. She is waiting for him to come and declare her the TRUTH – AND for this reason the LORD is waiting at the well for her. When you wait on the LORD,…Remember he is already waiting for you. 26 Jesus *said to her, "I who speak to you am He." · Revelation like how GOD revealed to Moses in Exodus. Also in Matt 16:16-20 he reveals the same to his close 12 disciples. Jesus by revealing this to her, he immediately acknowledges as his disciple. How significant it is! · Revelation is done only to Moses, the servant of GOD saying "I AM WHAT I AM" Exodus 3:14 and even today Lord Jesus has appeared only to the servants of GOD and other humble souls. Lesson for Disciples: Even today you cannot question GOD's work in people's life. He would be sinner, your adversary. If LORD decides, it is what it is. Remember Jonah story and Nineveh. Nineveh is a wicked pagan city, But LORD had decided to forgive and bless the city. Just prepare to Be AMAZED! · She drops everything in her hand. She becomes an instant evangelist. *said to the men , "Come, see a man who told me all the things that I have done; this is not [f]the Christ, is it? · Said to the men: She does not feel like moral out cast anymore. Her self esteem is high. She knows she is forgiven. She is not shameful in going in public and declaring the GOOD news. · What I am in my life and heart: Also, she humbles herself to glorify his name. · Her calling for Christ was so powerful that they came out of the city to meet him. · The LORD reached out to only her. But, She brought the town to receive him. Jesus stays in the City of Gentile, Samaria for next TWO days. He Blessed the City and preached Love, Hope and Faith. Many become believers for they witnessed HIS grace and mercy for themselves in their life. All was possible, because there was one humble repenting heart waiting for Messiah. 4. Be ready to meet him. 5. GOD will meet you anywhere if you are looking for GOD. 6. When you have JESUS, the world follows you. I.e. Honor and Glory is yours. 7. LORD will use you to reach out to many. Don't be surprised! HIS plans are perfect and so is his LOVE! If you are that "Thirsty woman or man"…, don't lose heart. HE is waiting for you. Ladies from New Testament had been in my constant ponder. Every time I come across, I cant help doing a role play and try to see thru their eyes the Messiah, the Savior, the Lover of our soul. Here is one such attempt of my favorite story "Samaritan Lady at the well" found only in Book of John. As you have read and learnt in many places, this story is so deep and carries such big truths for us esp. his love for the humble, lost and contrite souls. Oh! How he loves us. Plans: Had to - this verb has a specific importance here. It is not required to pass thru Samaria geographically. May be it is a roundabout way to Galilee. Yet, the Son of Great living GOD decides to pass thru the city Sychar of Samaria to meet a special person he had in his mind. 5 So He came to a city of Samaria called Sychar, near the parcel of ground that Jacob gave to his son Joseph; 6 and Jacob's well was there. So Jesus, being wearied from His journey, was sitting thus by the well. Divine Appointment: It is not any other place. The LORD picks a specific place to meet this woman. A place that has theological and historical importance. A place where earthly needs are met. But there is something more in LORD's mind. 6It was about the sixth hour. There came a woman of Samaria to draw water. · Introduction of Thirsty Woman – Here comes the gentile woman who ran out of water at home, thirsty woman hurries in scorching sun mid day to draw water. Drawing water is a chore done early in the morning or in the evening. A Household needs water in the morning and a refill in the evening. Dawn and Dusk weather-wise also makes it easy on the women folks to draw water and to carry it home. But here we see this woman coming to the well at the mid day. · An outcast: During those days, well is place of social get together for women folks – A Ladies club. Mid day is the time, people stay at home. Here is this woman coming alone. It looks she specifically chose mid day hoping to see anybody on the road or at the well. She seems to be a moral outcast in her own society or that's what she thinks of herself. 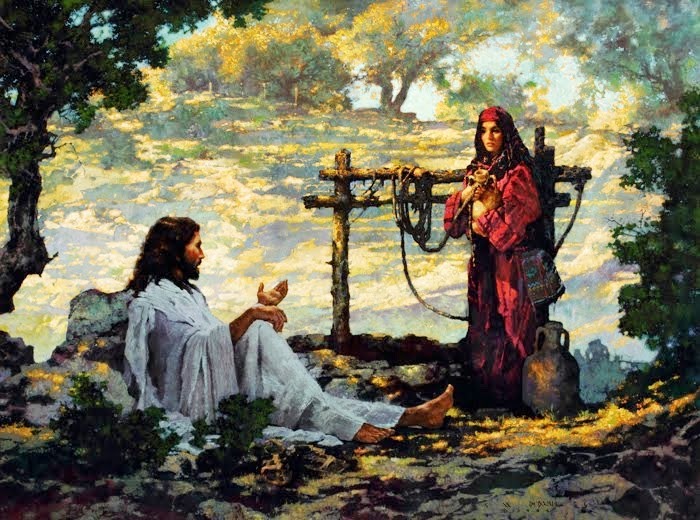 An Analogy: Weary Jesus among-st his busy 2 yr ministry decides to wait for the gentile lady to show up at the well. Yes, it is the SIXTH hour. Not the Twelfth hour. He appears in the middle of the history bringing a message, a message to those who are thirsty and in search of water, the real Truth. He is for the people with thirst for the real GOD despite their past and background. Jesus said to her, "Give Me a drink." 8For His disciples had gone away into the city to buy food. 1. He talks to a woman in public which is not accepted in then conservative society. 2. He talks to a Gentile woman. Samaritans and Jews do NOT get along with each other. Samaritans are considered to have born out of interracial marriage. In fact they have their own and own place of worship as opposed to the LORD JEHOVAH revered at the mount Zion of Jerusalem. 3. He asks her for water. He doesn't have a vessel. It means he has to drink from a gentile vessel which is ceremoniously considered unclean those days. **Before reading the conversation between the lady and the LORD, we have to remember that the LORD speaks to her in a special language of words with hidden answers & meanings. His answers are not direct to the questions she posts. Yet, the answers were inquisitive and elaborate enough for her to understand. The reason being they are conversing in a spiritual level here. 9 Therefore the Samaritan woman said to Him, "How is it that You, being a Jew, ask me for a drink since I am a Samaritan woman?" Lady Response: Surprised to see a man at the well and even more startled by the LORD's request. Her thoughts race - Why would a Jew, a Man had to talk to me? He is a man. Can't he get a drink for himself? Why ask me - a gentile woman..? Does he know about me, my background? OR Does this man have 'other thoughts' of me knowing the background of my sinful life? She frames her thought as stern straight forward questions to him. I will not blame her. That's girls the reflexive thought about any unknown male's encounter in a secluded place. One thing is evident she regrets her sinful life and she is not happy with what she had done. Hence he questions are straight as an arrow. Had she been in other thoughts, her questions would have been different to the young handsome looking Jew. BIG TRUTH Unveiled: Look at the grace of the LORD. 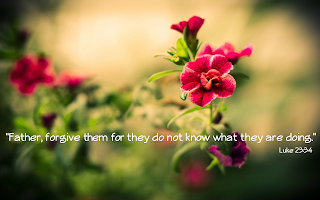 Jesus talks to an outcast, a broken, and a Gentile woman about the Gift of GOD he has for her. He encourages her to KNOW him and ASK him. He promises the living water, the salvation. If you read the above verse John 4:10, it is another version of John 14:6 Jesus said to him, "I am the way, and the truth, and the life; no one comes to the Father but through me. 11 She said to Him, "Sir, You have nothing to draw with and the well is deep; where then do You get that living water? 12 You are not greater than our father Jacob, are You, who gave us the well, and drank of it himself and his sons and his cattle?" Her Quest: With his response involving the Gift of GOD and living water, she develops an instant respect for him now. For realizes that this person is there to meet her needs and seems like someone who might have answers for her longing quest. 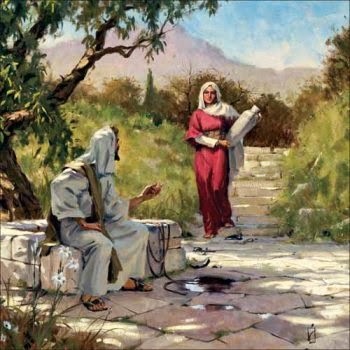 She responds back to LORD Jesus addressing him differently She asks him with great respect to about the living water. Her responses also reveal her depth of the theological knowledge and her reverence for the forefathers. This verse proves that she is not a mediocre woman. Her soul has been pondering over her life and in search of the truth. Salvation for Everyone: Key point here is "Whoever drinks". Salvation is available for everyone. He makes it very clear WHO doesn't matter, but WHAT he does with the water given by LORD matters. He also further explains – the water he gives is the water of Salvation which will lead to heavenly blessing of eternal life. It has a message for us to. We seek GOD mainly for earthly blessings. 1. For a loving spouse, Only to one day to find your-self hurt. 2. For a lot of wealth, Only to one day to lose it. 3. For a perfect health, Only to one day to die. 4. For a high rank & honor, Only to one day to leave it another person. When we ask and seek GOD for the living water the salvation, every heavenly and earthly blessing fall into our lap. (Mathew 6:20). Luke 15:11-32: Please read this familiar passage while re-reading the highlighted verses. 11 Then He said: “A certain man had two sons. 12 And the younger of them said to his father, ‘Father, give me the portion of goods that falls to me.’ So he divided to them his livelihood. 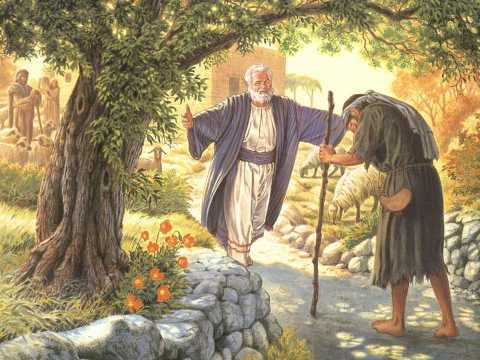 13 And not many days after, the younger son gathered all together, journeyed to a far country, and there wasted his possessions with prodigal (wild) living. 14 But when he had spent all, there arose a severe famine in that land, and he began to be in want. 15 Then he went and joined himself to a citizen of that country, and he sent him into his fields to feed swine. 16 And he would gladly have filled his stomach with the pods that the swine ate, and no one gave him anything. 22 “But the father said to his servants, ‘Bring (quickly) out the best robe and put it on him, and put a ring on his hand and sandals on his feet. 23 And bring the fatted calf here and kill it, and let us eat and be merry; 24 for this my son was dead and is alive again; he was lost and is found.’ And they began to be merry. Many call this the parable of the Lost Son or Prodigal Son. But it is more apt to call it the parable of the Faithful Father. Let us glean some valuable lessons from the scriptures. The passage does not describe the sighs, the groans, the sleepless nights of this Father. The passage does not describe the intercession this Father made on his son’s behalf. But we get a clue from v17 – when the son came to his senses – he did not come to his senses by himself. In the background there was intense prayer. There was a spiritual warfare going on in the heavenly realm for this son’s soul. 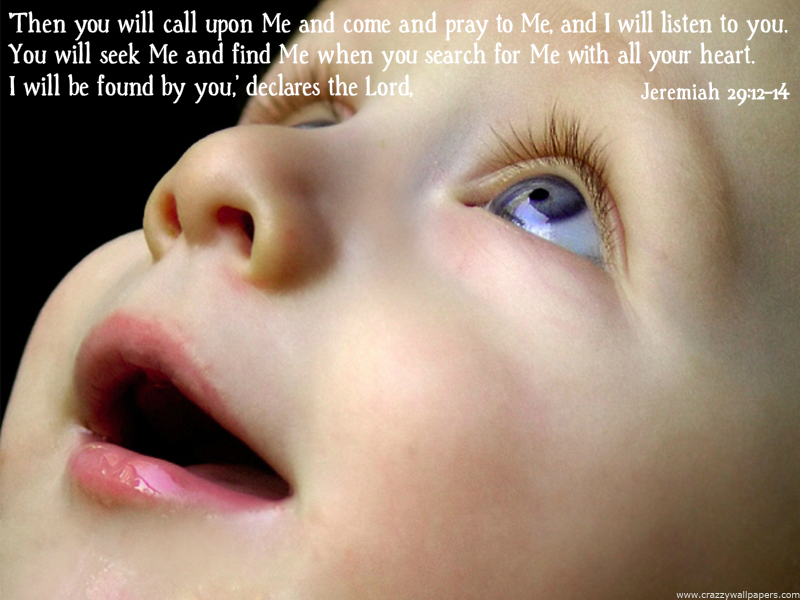 Father never stopped interceding for his son till he saw him come back. Application: Never ever stop praying for your loved one’s salvation till you see them in the Lord. Till they have breath in their nostrils there is hope for them. When we know that it is God’s will for “none to perish” we should keep on pressing till we see results. So if your friend or family must come to their senses, you must pray, pray and not stop. Isa 50:2 Why was no one there when I came? Why was there no one to answer when I called? Is My hand too short to redeem? Or do I have no power to deliver? Look, I dry up the sea by My rebuke; I turn the rivers into a wilderness; their fish rot because of lack of water and die of thirst. V 20: But when he was still a great way off, his father saw him. He was not sitting in front of the TV and flipping channels, but he was anticipating that the son would come any day. That is why he was standing on the top – that is how he saw the son from far off. We pray, we wrestle in prayer, but are we expecting great things from the Lord. In a church every one gathered to pray for rain. But only one little boy came to the prayer with umbrella. That my dear friends, is expectation. We pray with tears, we wrestle in prayer, but when answer comes, we are surprised. We should not be. That Father was praying, was expecting, at the same time he gave full freedom to God, to deal with his son as He wished. He knew that his son was first God’s son to even begin with. 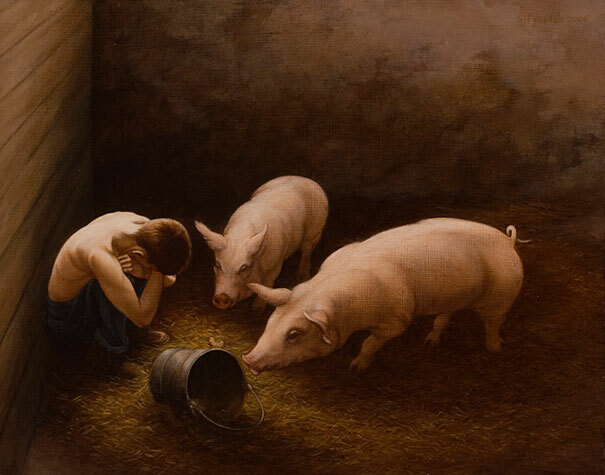 God had to take that son so low – so low as to eat pig’s food – to bring him to his senses. We pray for salvation, we pray for repentance, but we ourselves stand in the way of God. Let God do his work. For God our soul is more important – because that’s what lives for eternity. Our trails are for momentary, light affliction. The following scriptures reveal how important it is for our soul to reach heaven. 2 Corinthians 4:16-18 Therefore we do not lose heart. Though outwardly we are wasting away, yet inwardly we are being renewed day by day. 17 For our light and momentary troubles are achieving for us an eternal glory that far outweighs them all. 18 So we fix our eyes not on what is seen, but on what is unseen, since what is seen is temporary, but what is unseen is eternal. V 15: Then he went and joined himself to a citizen of that country. We are called to be priests. We are a holy nation separated unto the Lord. Swine is an abomination to the Jew, but he was joined with the world and did not realize it. Friendship with world is enmity to God. James 4:4 Do you not know that friendship with the world is enmity with God? V 28: But he was angry and would not go in. I am not writing much about the younger son as we have heard enough of him. We think he is the only bad one, but the older son was equally bad. The older son was with the Father, still bad. We can be in the church but still far from the Father. We can be a seasoned Christian, still not understand the love of the Father (his Father came out to meet him, just as he did for the younger son). He still cannot comprehend the compassion of the Father. The older son was not able to celebrate due to his angry. Anger steals us from the Joy of the Lord which is our very strength. If today, God is speaking to you, please get rid of the anger. 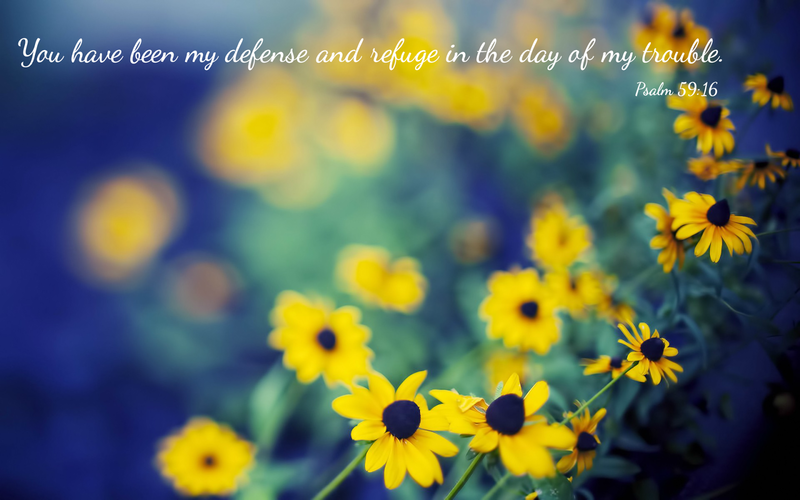 You may say – I am only angry against my mom, my dad, my mother in law, my spouse, but actually you’re angry against the Lord. Your anger will hinder answer to your prayers. It will not bring about the righteousness God seeks. Gal 5:15 If you keep on biting and devouring each other, watch out or you will be destroyed by each other. James 1:19-20 My dear brothers and sisters, take note of this: Everyone should be quick to listen, slow to speak and slow to become angry, 20 because human anger does not produce the righteousness that God desires. Plus the bible does not tell how the older son responded to the Father’s love – did he go inside or just leave. Let us enter our Father’s house and celebrate. It is his Mercy we are alive..